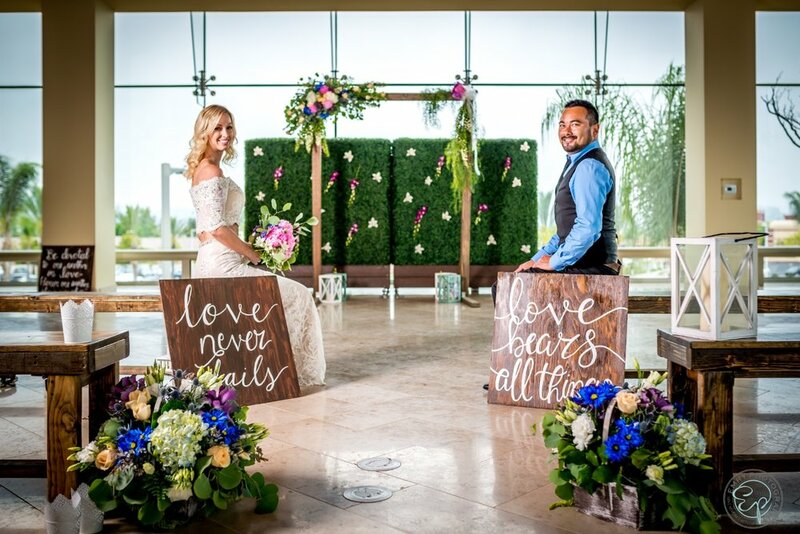 With CC Vintage Rentals, it says it all in the name! This couple-owned rental company offers everything you need for a beautiful vintage styled wedding. Sofas, rugs, tables, bars, and arches are just a few decor items CC Vintage Rentals offer, but there are plenty more options that make it one of the largest vintage rental companies in San Diego. Cedar & Pine all got started when couple, Matt and Martha, wanted beautiful Farm Tables for their wedding but were having trouble finding the perfect ones. They decided to build their own tables and from there, their rental company of hand-crafted rustic and woodsy furniture took off. From farm tables and wood tables to bar sets and arches, Cedar & Pine has a wide selection that is great for outdoor spaces. If you are looking for beautiful, simple additions to your wedding decor, Events by LIFT has the perfect piece! From just collecting random pieces as a hobby to now have a large inventory full of unique and gorgeous items! Bonus: Events by LIFT also offers full wedding styling and specialty tablescape. Whether your event is indoor or outdoor, you can find the best outdoor decor right here! Geranium Street Floral specializes in artificial plants, artificial boxwood mats, and artificial boxwood hedges. Fun Fact: Our in-house custom hedges were made specially by Geranium Street! Our talented friend Lina turned her hobby into a side hustle! She provides refurbishing, repurposing, and stunning calligraphy all over San Diego County! Platinum Event Rentals wants to fully understand the couple’s vision. In order to do so, this company invites clients to come to their showroom where all of their furniture is displayed. To stay innovative and creative, Platinum Event Rentals changes out their showroom monthly with fresh new designs. Make sure to check out their showroom and see how Platinum Event Rentals can create your dream wedding. A boutique-style rental company, Rickety Swank offers a wide selection of beautiful furniture. Searching all over the West Coast, they have collected beautiful rentals pieces sure to make any bridal shower, engagement photography session, or wedding truly classic. Rickey Swank strives to provide excellent service to all clients including tours through their showroom and one-on-one design consultation. 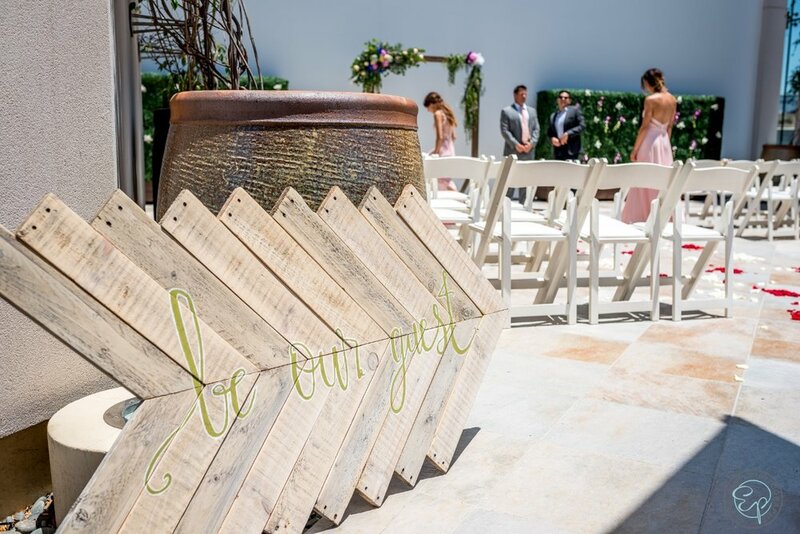 San Diego Decor & More was born out of an absolute love for all things wedding and event related. 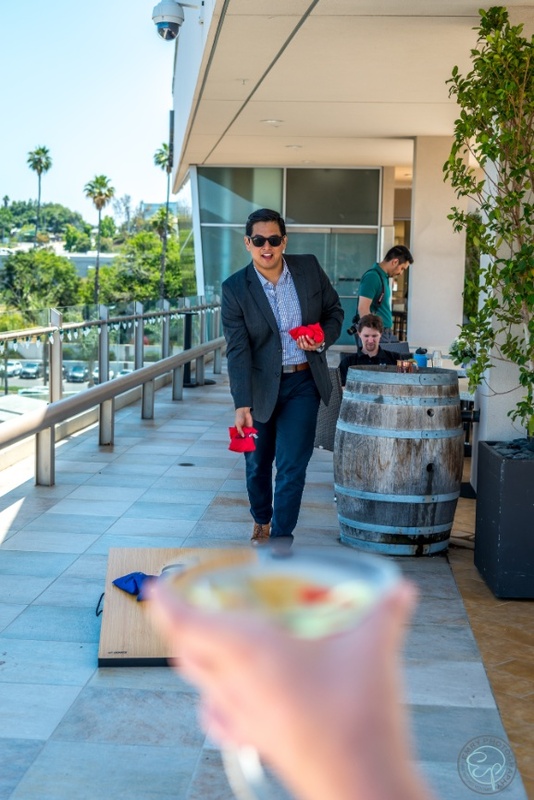 With years of combined experience in wedding and event services, our team just simply loves making our clients special day everything that they envision it to be. Socialights specializes in beautiful marquee lights, twinkle lights, lanterns, custom projects and so much more. There is no dream wedding too big - Socialights loves to tackle new, wild projects! The staff works hard to continue to creative innovative lighting ideas that will help enhance the beauty of every wedding. Stephen Fishwick offers two unique services that can capture your wedding memories forever. 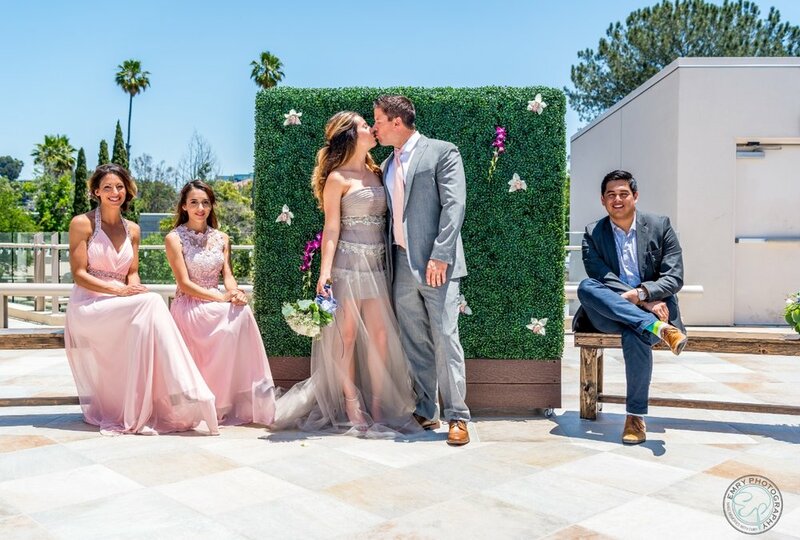 Have the moment you say “I do” captured with a couple’s Performance Painting or have your guests create a piece of art with the Interactive Guestbook. With over 20 years of experience, Stephen Fishwick continues to strive to achieve his personal mission of constantly pushing himself creatively. Stephen Fishwick's Fine Art Gallery is located inside of the Centre and always open to the public. Tri-City Florist is committed to providing the finest floral arrangements for your big day! Their exceptional and friendly service truly makes every customer feel important. They strive to give every customer a great experience and will always go the extra mile to make sure everything is perfect!